Something great, something big, something very special that's never happened before is about to happen! On July 19, 2013, the Cassini spacecraft, currently in orbit around Saturn, will be turned to image that planet and its entire ring system during an eclipse of the sun, as it has done twice before during its previous 9 years in orbit. But this time will be very different. This time, the images collected will capture, in natural color, a glimpse of our own planet alongside Saturn and its rings on a day that will be the first time the Earth's inhabitants know in advance their picture is being taken from a billion miles away. It will be a day to revel in the extraordinary achievements in the exploration of our solar system that have made such an interplanetary photo session possible. And it will be a day for all of us to smile and celebrate life on the Pale Blue Dot. I hope, at the appropriate time, regardless where or on which side of the planet you are, that you stop what you're doing, go outside, gather together with friends and family, contemplate the utter isolation of our world in the never-ending blackness of space, relish its lush, life-sustaining beauty, appreciate the rarity it is among the Sun's planets, and marvel at your own existence and that of all life on planet Earth. Then, by all means, rejoice! Hoot and holler, twist and shout, raise a glass, make a toast, dance beneath the diamond sky with one hand waving free, or celebrate in silence. Whatever it takes. But be sure to smile, knowing that others around the world are smiling too, in the sheer joy of simply being alive on a pale blue dot. ENTER OUR CONTEST And if you are a musical composer and love a challenge, consider entering our musical contest held in association with Cassini's imaging of Earth on July 19. The winning entry will be included in a digitally encoded message that will be broadcast into the galaxy from the most powerful radio telescope on Earth on the anniversary of The Day The Earth Smiled. Go to Message to the Milky Way to find out more. In association with The Day The Earth Smiled, a day of cosmic self-awareness, celebrated planet-wide and marked by an interplanetary salute between robot and maker, we are planning to craft a digitally encoded message that will be beamed at a future anniversary of The Day The Earth Smiled, into the Milky Way from the Arecibo Radio Telescope in Puerto Rico ... the largest, most powerful radio antenna on Earth. This will be a lonely yet hopeful, long distance call from humans to their fellow galactic citizens in which we announce our presence and describe us and our home planet. One element of this message will be a musical contribution from a member of the public, chosen in a worldwide competition sponsored by Diamond Sky Productions and guided by our illustrious group of Advisors: ie, an original piece that puts to music that ancient human longing to understand the meaning of our own existence. Many details in this project are still uncertain. The duration of the composition, the format of acceptable submissions, the guidelines, etc. have not yet been determined, and the webpage where contributions need to be uploaded is not yet established. As these decisions are reached, we will post updates on this website, to our email list (see Contact below), and over our social media channels. To learn more about this contest, continue scrolling or click Contest in the menu bar. As part of our Message to the Milky Way, we will include an element that will be chosen in a contest that is open to the public. A MUSICAL CELEBRATION The magnitude of our achievements over the past 50+ years in globe-trotting the solar system, comprehending the grand cosmic theatre in which life on planet Earth has unfolded, and communicating our presence across vast reaches of space and time are all cause for riotous celebration. And celebration goes hand in hand with music. In this contest, we are asking for an original musical composition that will form an element, contributed by the public, to our Message to the Milky Way. The winning composition must exalt the listener and capture the spirit and poignancy of our efforts to connect across space and across time. The rules governing this competition are currently being formulated. When they, and the upload site, are completed, we will make an official announcement. The ultimate goal of this contest is to use the contributed materials in one or more media productions. The direction and form of our efforts depends on the amount of funding raised. But we have big hopes and so we have big plans. Possibilities include an event in which the winning composition and the runners-up in the music contest are used together in a multi-media production. We shall see. FOR FUTURE UPDATES ON THE CONTEST: consider signing up for our email list, or follow us on our social media channels on Twitter, Facebook, and Tumblr. Otherwise, check back often right here on this website. Diamond Sky Productions, LLC is proud to report that in running our Message to the Milky Way competition, we will be joined by an illustrious Board of Advisors. Collected together here is a wide array of enormous intellects, talents, experience and wisdom that we will draw on for advice and assistance in everything from crafting the elements that comprise our interstellar message, to evaluating the musical contestants and choosing the winners. Rick Armstrong: Rick is the eldest son of former astronaut and Apollo 11 Commander Neil Armstrong, and not surprisingly has always been keenly interested in science and space exploration. During the 1980's, he was a marine mammal trainer, working with dolphins and sea lions in show-training and research capacities, and was interested in the potential for human-cetacean communication. For the past 19 years, he has been an independent software consultant and developer. In the interest of inspiring the next generation towards science and exploration, Rick is currently involved in the development of a planetarium show based on a tale woven by his father about a rock he picked up on the surface of the Moon. Brian Cox: Brian is an English particle physicist and a professor at the University of Manchester where he works within the High Energy Physics Group on data collected by the Large Hadron Collider at Cern, Switzerland. He is also a popular presenter of BBC radio and TV science programs, such as 'The Infinite Monkey Cage', 'Wonders of the Solar System' and 'Wonders of the Universe'. The latter program won Best Presenter and Best Science/Natural History program by the Royal Television Society in March 2011. He is also co-author of several books, including 'Why does E=mc2' and 'The Quantum Universe'. In the 1990s, he was a keyboard player for D:ream, a group that had several hits in the UK charts, including the #1 'Things Can Only Get Better', later used as a New Labour election anthem. Frank Drake: One of the founders of the collection of activities known as the Search for Extraterrestrial Intelligence (SETI) and the namesake of the famous Drake Equation, Frank was the principal creator of the first and still most powerful communication from Earth intended for extraterrestrial intelligent beings. Known as the Arecibo Message, it was a digital encoding of an astronomical and biological description of the Earth and its lifeforms beamed from the Arecibo telescope in Puerto Rico to a globular star cluster 25,000 light years away. Along with Carl Sagan and others, he was a co-creator of the Pioneer plaque and the Voyager record... 'messages from Earth' carried aboard two spacecraft headed for the stars. He was the first president of the SETI Institute in California. Jesse Dylan: Jesse is a filmmaker, and founder, Creative Director and CEO of Wondros, a production company with a focus on creating content that fosters social responsibility. He is a prolific director behind some of the most successful campaigns in commercial television, print, and interactive advertising - including work for TED, The Open Society Foundations, ONE, MIT Media Lab, and (RED). Jesse is also recognized for his contributions to the scientific and medical communities, namely his non-profit Lybba, which is at the nexus of the open-source healthcare movement. Kent Gibson: A sound designer and mixer for over 14 television series and over one hundred and fifty cable TV shows for A&E, PBS, Discovery, etc, Kent is the recipient of a Prime Time Emmy Award for his work on the landmark 1980 PBS television series, 'Cosmos'. He was also a member of four Grammy Award teams, including the one that designed the sound for the documentary 'Gimme Some Truth, the Making of John Lennon's Imagine Album'. He has written, produced and/or directed over fifty music and documentary films and videotapes for network television and cable. Douglas Murray: Douglas is a sound editor, sound designer and sound mixer for feature films and sometimes television, principally at Skywalker Sound in Marin County, California. He has won an Emmy for 'Hemingway and Gellhorn' and a Golden Reel for 'Harry Potter and the Goblet of Fire' for his sound editing, and has been nominated for nine other Golden Reels, two other Emmys, and two Cinema Audio Society awards for outstanding sound mixing. Included among these is a Golden Reel nomination for Best Sound Editing for his work on the movie, 'Contact', based on the novel by Carl Sagan. He occasionally teaches film sound concepts and techniques. Steve Soter: Steve was a member of the triumvirate - Sagan/Druyan/Soter - that wrote the original, landmark PBS television series, 'Cosmos', in 1980, and is a co-writer of the forthcoming sequel, 'Cosmos: A SpaceTime Odyssey'. He helped conceive and write permanent exhibitions for the National Air and Space Museum (NASM) and the American Museum of Natural History (AMNH), and was a co-writer of three NASM/IMAX science films and two major AMNH planetarium shows. He has taught courses at New York University on a variety of topics including Scientific Thinking and Speculation, Life in the Universe, and Climate Change.And for fun, he co-directed the field work that led to the discovery of a major Early Bronze Age settlement and other ancient sites at Helike in Greece. The partners working with Diamond Sky Productions in conducting our Message to the Milky Way competition are shown here. They will be assisting us in various ways, including promoting the competition and providing services. If your organization wishes to partner with us, please contact us at support@TheDayTheEarthSmiled.com. Arecibo Observatory (AO) is home to the largest radio telescope on Earth and committed to improving human understanding of the cosmos and the near Earth space environment. It is managed by SRI International in cooperation with the National Science Foundation. Space Science Institute is a non-profit organization dedicated to innovative space and earth science research and education, with employees and project partners around the world. A leading international investment group and one of the world's most recognized and respected brands. Its core business areas are travel, entertainment and lifestyle. PopTech is a non-profit organization bringing together innovators from many fields to share insights and work together to create lasting change. Its annual conferences and events are among the highest rated in the United States. A popular science magazine that gives readers substantive, in-depth coverage of important science topics and enlists contributions from the world's leading scientists. Once our projects get underway, we will be seeking to raise funds to cover the myriad costs that will be incurred in running them, from supporting the updates of websites with the latest news and information to paying for travel to bring the projects' advisors together to evaluate the contestants and choose the winners. We are in the throes now of developing the mechanisms by which people and organizations wishing to make tax-exempt financial contributions can do so. Once we have put all that in place, we will announce it widely over our social media channels, over email, and on this site. July 18, 2013: Cassini Poised to Take Photo of 'Pale Blue Dot', William Harwood, CBS News. July 13, 2013: The Day The Earth Smiled, Leonard David, Coalition for Space Exploration. July 12, 2013: Hey Planet Earth! Get Ready to Smile, Nancy Atkinson, Universe Today. July 8, 2013: Pale Blue Dot, Richard Branson, Virgin Group. July 3, 2013: Say Cheese, World. Saturn is Watching, Helen Walters, TED Blog. June 27, 2013: 7 Billion People and Trillions of Creatures to be Photographed together on July 19, 2013, Robert Krulwich, NPR. June 25, 2013: Historic interplanetary photo opp: Wave at Saturn from Earth on July 19, Max Corneau, Blue Ribbon News. 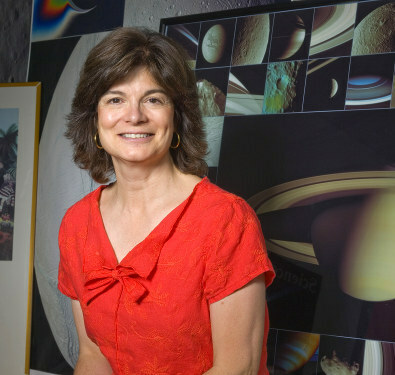 June 19, 2013: NASA's Cassini Cameras to Provide Breathtaking Image of Earth from Saturn, Carolyn Porco, PBS/Newshour. June 19, 2013: Viewpoint:A Day to Celebrate the Pale Blue Dot, Carolyn Porco, BBC News. June 19, 2013: NASA's Cassini Probe to Acquire Distant Earth Portrait, Jonathan Amos, BBC News. June 19, 2013: People of Earth, say cheese!NASA to take everyone's picture from space, Jonathan Jones, Guardian. June 19, 2013: Cassini spacecraft to take our global photo next month, Elizabeth Barber, Christian Science Monitor.